Wow! What a delight to be here with all of you. Thanks so much to Thaleia for inviting me to be a guest blogger on this very exciting site. 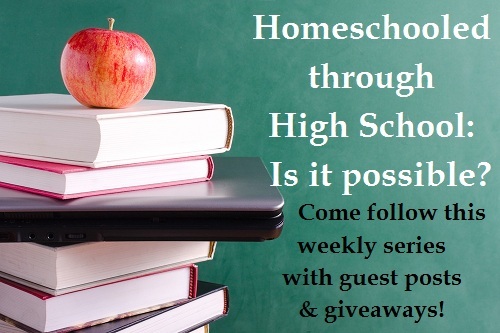 And, you know, homeschooling during high school is one of my favorite topics, because the opportunity to homeschool my three teenagers was the highlight of our parenting journey! But before we go there, may I share with you what research shows about homeschooling our kids all the way through high school? During a convention workshop, Dr. Jay Wile talked of a study done by Lawrence Rudner, in which homeschool, private school, and public school students were compared. The first part of the study showed that homeschool students start out ahead of private school students—and keep that slight lead all the way through high school. Private school students are slightly ahead of public school students. . .until eighth grade. At that point, public school students begin to diverge, losing ground rapidly compared to both homeschool and private school students.